transit. Ideal for irregular and difficult to wrap items.Note: A bulky item surcharge may apply on these items. Please contact us for a postage estimate. Cardboard sheets can also be used to make custom boxes for packaging items. You don’t even necessarily need tape or glue as the sides can stick together. For whatever purpose you require corrugated sheets, HIPAC Packaging Solutions can cater to your needs. 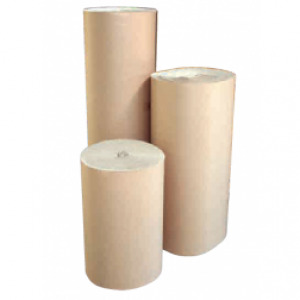 We offer rolls of heavy-duty single faced corrugated cardboard with varying levels of thickness. Choose from 600mx75m, 900mmx75m, 1220mmx75m, 1500mmx65m and 1800mx75m sheets of cardboard. Each option offers an excellent protective packaging solution and the more you buy from us, the greater the discount you’ll receive as we offer great discounts on bulk purchases on 5+ and 10+ orders of rolls of cardboard sheets. Of course, our range of packaging supplies does not stop there. When it comes to protective plastic packaging, we’ve also got everything you need. From cardboard boxes to mailing tubes and pallet protector pads to cardboard edge protectors, we’ve got all the supplies to ensure the safe transport of your goods. We even offer bubble wrap, foam wrap, courier bags, pallet shrink bags, pallet netting, bundling film and shrink film. Are you in need of packaging tape supplies? Your trusted online packaging provider can, yet again, meet your every need. You name the type of packaging tape and we can supply it. From strapping tape to cloth tape, anti-slip tape to double sided tape and bag sealing tapes to reflective tape, we’ve got it all. And if it couldn’t get any better, this extensive selection of products is readily available to purchase online from our website at unbeatable prices. Given our scope of products and dedication to complete customer satisfaction, we truly are your one stop for packaging supplies. We even stock an extensive selection of strapping products, warehouse supplies and safety and janitorial supplies. We’ve really thought of everything! The aim of our online store is to provide Australian companies with convenient access to large quantities of high quality packaging products at wholesale prices. Simply browse our online store, click, order and await the swift delivery of your products. It’s that simple! 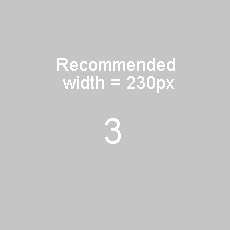 Can’t see the products that you need? If so, our expert team are on hand to offer you advice and assistance. Ordering packaging supplies for your company just got a whole lot easier with the HIPAC Packaging Solutions online store.